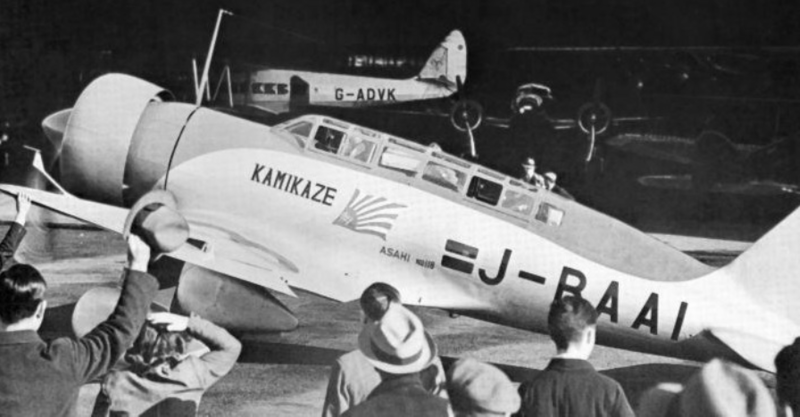 The Mitsubishi Karigane J-BAAI, arrives at Croydon Aerodrome, London, 3:30 p.m., 9 April 1937. 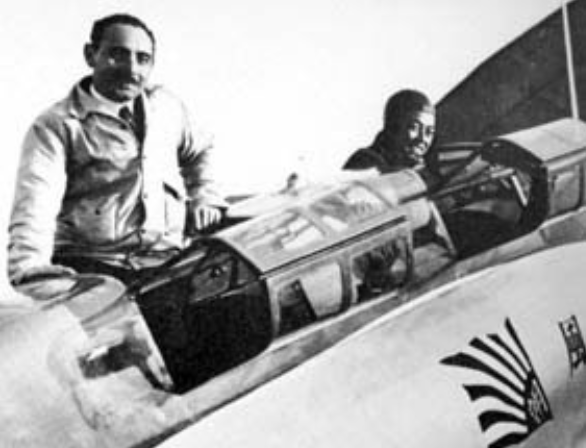 Navigator Kenji Tsukagoshi (standing) and Pilot Masaaki Iinuma with the Mistubishi Karigane. Kamikaze-gō was the second prototype Ki-15. 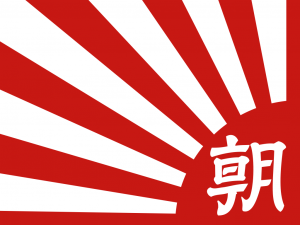 It had been purchased by the Japanese newspaper, Asahi Shimbun, and was registered J-BAAI. The airplane was painted silver with medium blue trim. The airplane was flown to London for the coronation of George VI. 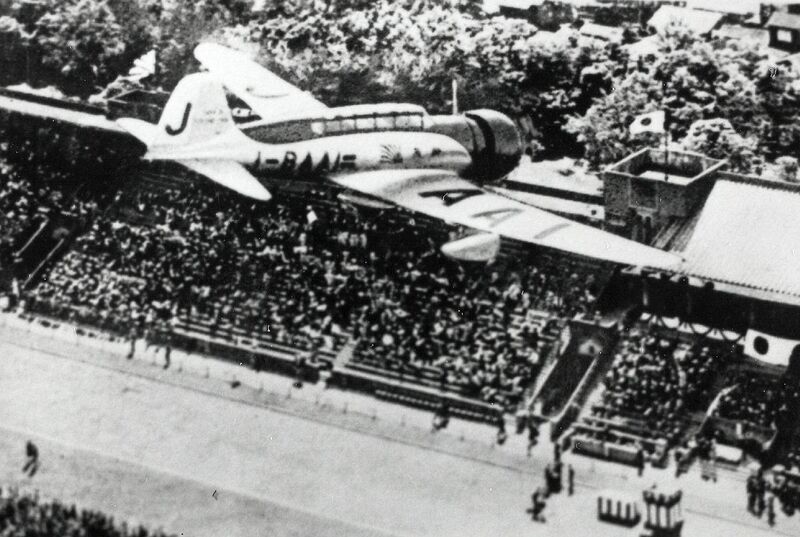 Iinuma and Tsukagoshi departed Tachikawa Airfield at 5:12:04 p.m., 5 April 1937. The route of the flight was Tokyo to Taipei and on to Hanoi, Vientiane, Calcutta, Karachi, Basra, Baghdad, Athens, Rome, Paris, and finally, London. 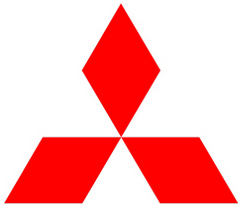 The Mitsubishi prototype arrived at Croydon Aerodrome, London, at 3:30 p.m., 9 April. AT 3.30 p.m. on Friday a large welcoming crowd, largely consisting of the Japanese residents in London, who had been waiting since mid-day, saw a characteristically “over-nosed” monoplane coming in from the direction of Paris. Mr. Iinuma, the pilot, made two complete circuits of the aerodrome while two Leopards, bulging with Press photographers, made an abortive attempt to keep up with the machine, both by diving and by cutting off corners. Then he brought it in slowly and carefully to land neatly, with a burst of engine and straight off the glide, in the centre of the available landing area—which was restricted by flagged-off areas populated by various working parties. Thus was the “goodwill” flight of Mr. Iinuma and Mr. Tsukagoshi from Tokio to London completed in 94 hours. The effort is of rather unusual interest in that the aircraft and engine were of Japanese manufacture. The first section of the flight which was sponsored by the Tokyo Asahi Press commenced from Tokio at 5.12 p.m. on Monday, April 5, and covered 1,400 odd miles to Taihoku, Formosa. In spire of the weather conditions, which were the worst experienced on the whole trip, and average speed of almost 200 m.p.h. was maintained. After leaving Hanoi (French Indo-China), the next stop, bad visibility to Vientiane lowered the average a little and it was not until the Baghdad to Athens stage was covered that the average speed for a section exceeded 100 m.p.h. ; in this case 1,280 miles was covered in 6 hours 17 mins., a speed of 202 m.p.h. Strong head-winds were encountered while crossing India. Last Friday the final European stages were commenced; leaving Athens at 5.40 a.m., Rome was reached at 8.46 a.m.—710 miles at 219 m.p.h. After only 50 minutes the Divine Wind took the air again for Paris, arriving there at 1.33 after having put up an average of 230 m.p.h. for the 730 miles. Finally, at 2.15 on Friday, April 9, Mr. Iinuma took off for Croydon and had terminated his flight within 75 minutes. Illustration from article in Flight, 15 April 1937, at Page 374. Without fuss or bother the two members of the crew smiled gravely at their compatriots and disappeared into the seething crowd. They managed to obtain a good rest at Rome and did not appear to be particularly exhausted. In due course, mechanics wheeled the Divine Wind into the Rollason hangar and the inner doors slid in front of the eyes of the curious. Contrary to expectations, this Mitsubishi monoplane (which, incidentally was completed toward the end of March) and its engine do not appear to have built under direct licence from any American firms. Its type name is Karigane, or Wild Goose. It is reminiscent of the well-known Northrop series of single-engined mailplanes, but the resemblance is largely superficial and might apply to any machine built on the same lines and for the same purpose. The radial engine—a Nakajima Kotobuki III giving 550 h.p. (normal) at sea level and designed for a fixed-pitch airscrew, has points of similarity with the P. and W. Wasp and earlier Wright Cyclones, but is obviously of Japanese design. Superior people would not find it difficult to discover similarities—and to talk of “copying”—in the case of such a machine built anywhere. Two additional aircraft of similar type, but with various improvements are being built for Asahi. Except for the control surfaces, the machine is entirely of metal skin covering and the thin-section wing appears to be of cellular construction and a very nice piece of work, too, with flush rivets and little sign of irregularities. The wing area is given as 215 sq. ft. and the span is 39 ft. A range of under 1,500 miles is claimed by the manufacturers. The only noticeable British item of equipment was a “Demec” navigation light. The centre part of the long, roofed cabin is devoted to the accommodation of the extra tanks, which give the machine a range of 1,500 miles, with the pilot’s seat ahead and the radio operator’s cabin at the rear. There does not appear to be any fairlead for a trailing aerial, but the fixed aerial is mounted well away from the fuselage. Presumably the “radio operator” was more navigator; certainly, a new and interesting type of combined slide-rule and calculator could be seen in one of the pockets, and he had both a compass and a selection of essential instruments for his own use. 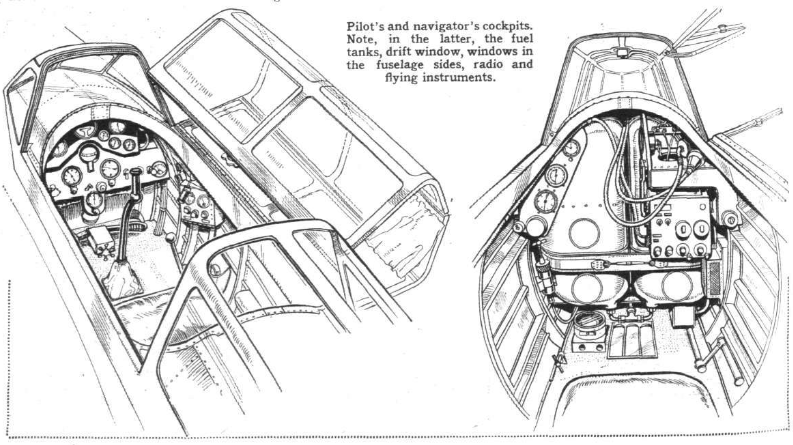 The pilot’s instruments were of standard type, with an artificial horizon, a turn indicator, a rate-of-climb and so on. He used two compasses, one of the direct-reading bowl type and the other the verge-ring type—the latter being on the floor of the cockpit. The maximum speed of this Mitsubishi monoplane is given officially as 310 m.p.h. This seems to be on the high side, but the machine had certainly been cruising at somewhere over 200 m.p.h. At Croydon, Mr J.C. Galpin, of the Air Ministry, gave the two airman a message of welcome from Sir Philip Sassoon. —Flight, The Aircraft Engineer and Airships, No. 1477, Vol. XXXI, 15 April 1937 at Page 374 and 376. Pilot Masaaki Iinuma (left) and Navigator Kenji Tsukagoshi at Croydon Aerodrome, 9 April 1937. After returning to Japan, Kamikaze-gō continued in service to its owners, until returning from China, it encountered bad weather and crash landed on Taiwan. 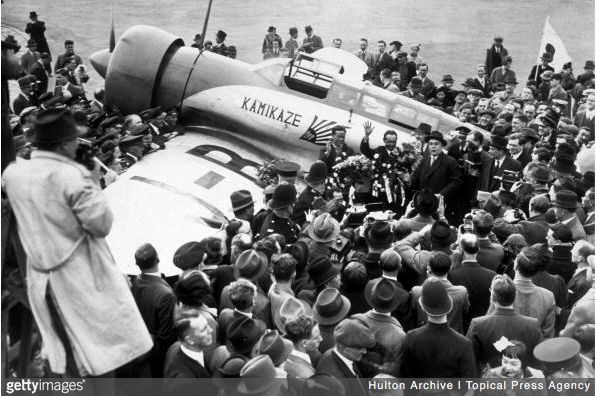 The airplane was recovered then placed on display at the Ashai Shimbun headquarters in Tokyo. During a bombing raid in 1944, the building was hit and the airplane was destroyed. 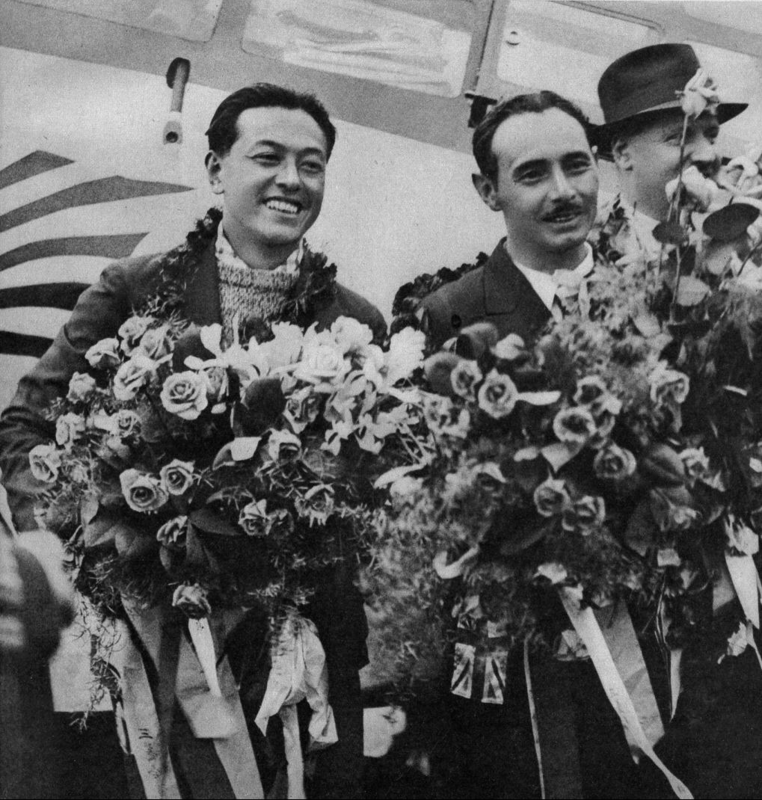 Following the Tokyo-to-London flight, Masaaki Iinuma and Kenji Tsukagoshi became national heroes. Iinuma was killed when he accidentally walked into a turning airplane propeller at Phnom Penh, Cambodia, 11 December 1941. Tsukagoshi disappeared while on a flight over the Indian Ocean in 1943. 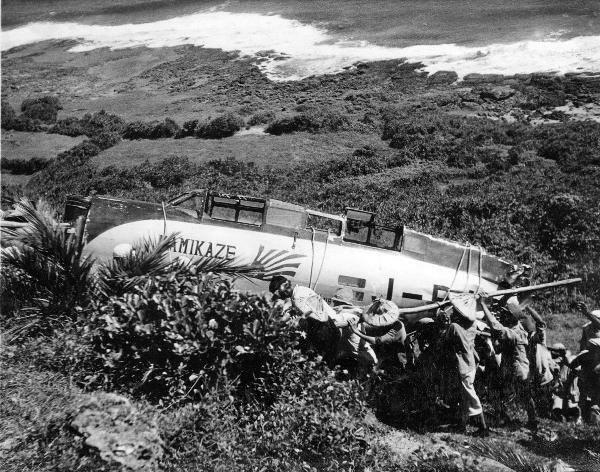 Kamikaze-gō, the record-setting Mitsubishi Ki-15 prototype, J-BAAI, after its crash landing on Taiwan. Asahi Shimbun bought a second Ki-15, registered J-BAAL. Several of the production airplanes were used by Japanese companies as courier or mail planes. Kamikaze-gō‘s Nakajima Kotobuki III was a licensed development of the Bristol Jupiter. It was an air-cooled, supercharged, 24.108 liter (1,471.150 cubic inch), nine cylinder radial engine with a compression ratio of 6.1:1, rated at 540 horsepower at 2,300 r.p.m. at Sea Level and 610 horsepower at 2,500 r.p.m for takeoff. The engine drove a two-bladed fixed-pitch propeller through a 0.6875:1 gear reduction. It was 1.170 meters (3 feet, 10.1 inches) long, 1.280 meters (4 feet, 2.4 inches) in diameter, and weighed 424 kilograms (935 pounds). The initial production version of the Karigane, the Ki-15-I (Army Type 97 Command Reconnaissance Airplane Model 1) also had a crew of two. It was a single-engine, low-wing monoplane with fixed landing gear. It was 8.7 meters (28 feet, 6.5 inches) long with a wingspan of 12.0 meters (39 feet, 4.5 inches) and overall height of 3.35 meters (11 feet). Its empty weight was 1,400 kilograms (3,086 pounds) and maximum takeoff weight was 2,300 kilograms (5,071 pounds). The Ki-15-I was powered by an air-cooled, supercharged Nakajima Ha.8 nine-cylinder radial engine which produced 640 horsepower. This gave the Ki-15 a maximum speed of 480 kilometers per hour (298 miles per hour) at 4,000 meters (13,125 feet), and a cruise speed of 320 kilometers per hour (199 miles per hour) at 5,000 meters (16,404 feet). Its range was 2,400 kilometers (1,491 miles) and the service ceiling was 11,400 meters (37,400 feet). 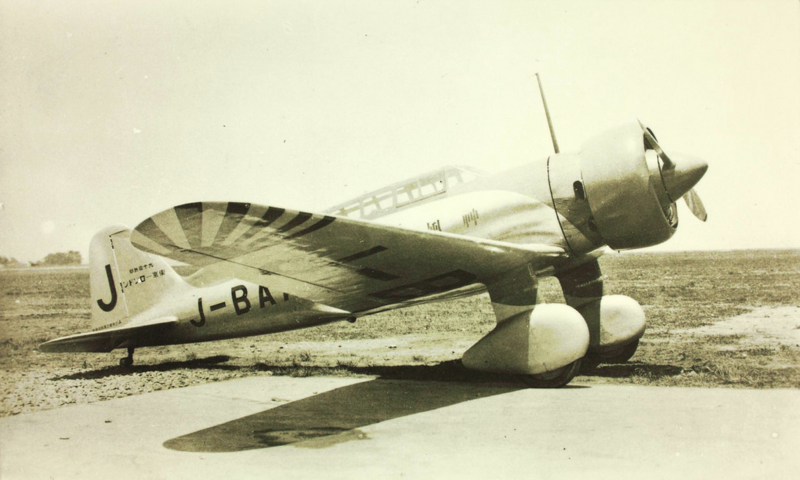 The Mitsubishi Ki-15 was produced from 1936 to 1945. Approximately 500 of all types were built. ¹ Numerous sources report that this flight established a Fédération Aéronautique Internationale (FAI) World Record, and that it was the first to be set by fliers from Japan. The FAI data base, however, does not list such a record, either by names of the crew, nationality, aircraft type, aircraft registration, date of the flight, nor is a record included in the list of all records for the year 1937.